BOOGA RED: A Piano Guitar Vocal Combo steeped in the Barrelhouse Boogie Blues House Party tradition of 1930’s downtown Chicago, Booga Red take you back in time with raggedy boogie woogie piano, rollicking finger-picking blues guitar, romping rhythms and riotous vocal, celebrating the early blues pioneers and continuing their legacy with new songs. 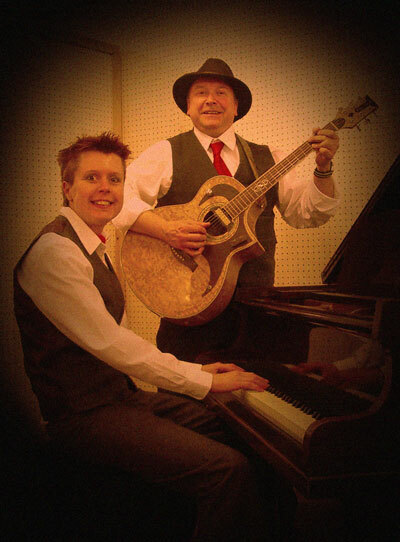 Formed in 2015, Booga Red are Steve English (songwriter, vocals, guitar, stompbox and kazoo) and Claire Hamlin (piano). A busy touring schedule has taken the Booga Red house-rockin’ party far and wide, and three CD releases have enjoyed good reviews in the blues press. Music for drinking, dancing and carousing, or just sit and enjoy!